'Tidal Lacks Overall Proficiency': Guesses for Kanye's New Album Title T.L.O.P. Filed to: T.L.O.P.Filed to: T.L.O.P. Well. 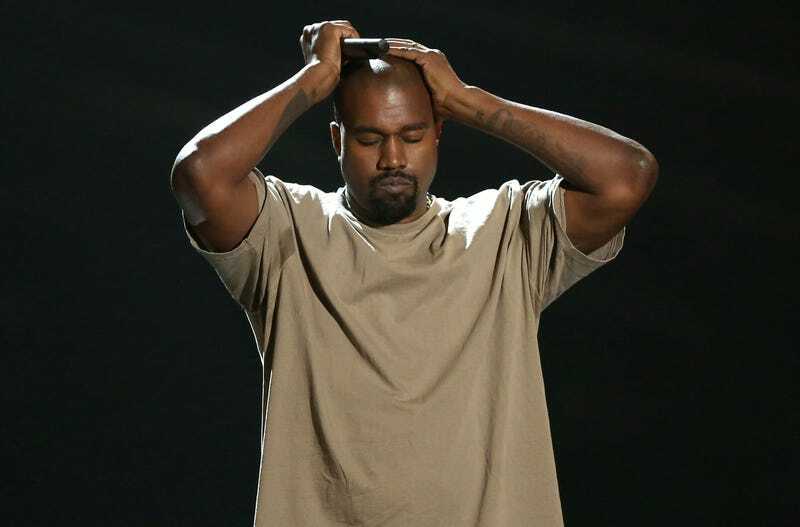 Though we’ve only got two days left till the release, who knows what the title’s actually gonna be: Kanye has floated Swish, Waves, and So Help Me God already and continues to change his mind in public. But we want those free Yeezys so we can sell them and rent out Spa Castle for a week or whatever, so here are some of our best guesses for T.L.O.P. Tau Lambda Omega Phi: Kanye frat! Here’s the last one, promise.